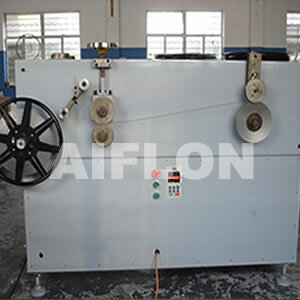 ﻿ Metal Tape Shaper (Modern Style) - China Metal Tape Shaper (Modern Style) Supplier,Factory - Cixi Aiflon Sealing Materials Co.,Ltd. Form metal tape into V or W profile for hoop of SWG with thickness 4.5mm and 3.2 mm, other width on request. U profile for eyelets of reinforced graphite gasket is also available.